Despite Europe seeing a spike in terror attacks in recent years, the Danish police have decided to reduce the physical guarding of terror targets in Copenhagen. According to a new police report, guarding terror targets required the equivalent of 300 full-time officers in 2015, but this year the same job is expected to employ just 208. Police cite better technology and fewer late-night shifts as being among the reasons for the easing. “It’s not necessarily a question of how many police officers are out there. It’s more about how we solve this issue, and it is here we have improved,” Stine Arneskov Mathiesen, a police inspector with the state police Rigspolitiet, told DR Nyheder. Mathiesen also said that the many policemen returning to their normal duties would boost police resource commitments dedicated to the ongoing gang war and border control issues. 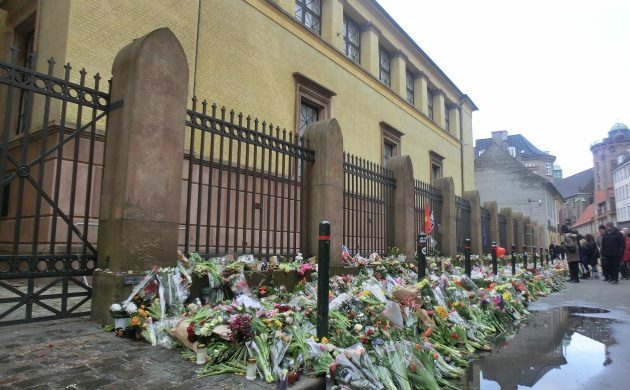 One of the targets of the 2015 terror attack in Copenhagen, the Great Synagogue on Krystalgade, has seen a decline in its police presence in recent weeks. The police have confirmed they are no longer monitoring terror targets like the synagogue 24/7. “I can understand why some people might look at the figures and think it looks like a deprioritisation, but the explanation for why we can reduce [our officer numbers] by nearly a third is due to how we are doing things,” said Mathiesen.